Expand your cloning capability to cover many more vehicles! 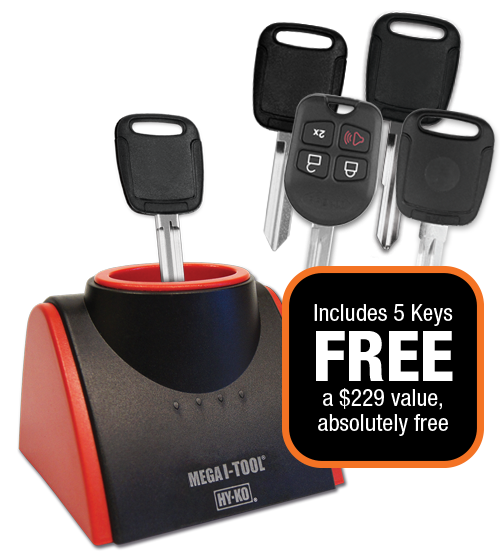 Includes five free keys covering newer years and popular Ford, GM, Honda and Toyota models – a nearly $229 value, for free. Popular Ford models through 2016 and some through 2019.